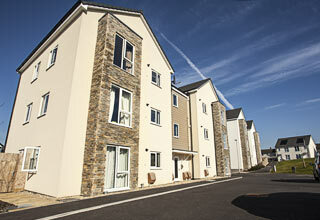 We were employed as post planning architects by Galliford Try to deliver this scheme for Plymouth Community Homes. 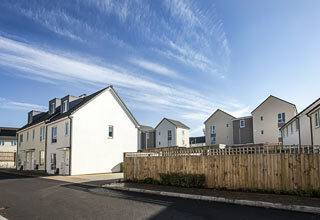 Built on the site of a former school, this development on Skerries road comprises 67 affordable houses and flats (a mixture of rented and shared ownership) in the Southway area of Plymouth. 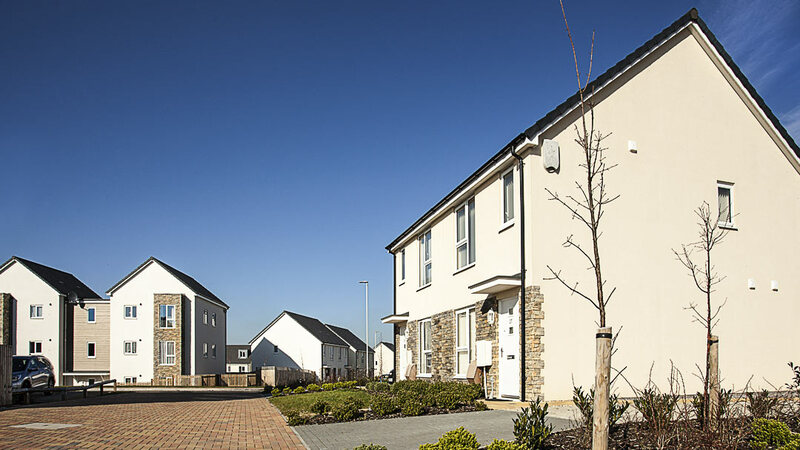 The scheme is constructed with a single skin timber frame and utilises the Rendaclad system that drastically reduced the length of the construction phase. It is hoped this method of construction will help address the current housing crisis. 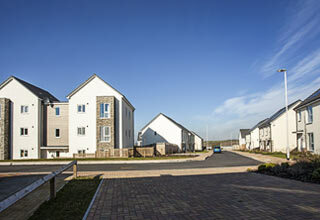 The many advantages of using this type of rendering system include the speeding up of the construction phase. 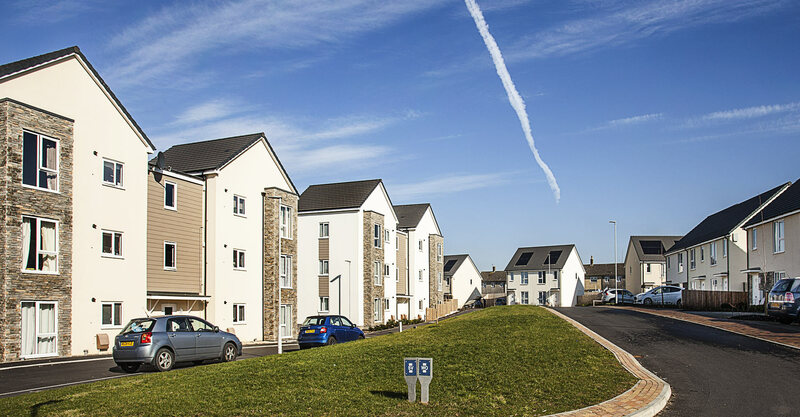 We have experience in working with Rendaclad rendering, and working with contractors Galliford Try, the scheme was delivered 3 months ahead of schedule. The design of the original block exterior was changed to accommodate the new facade. Another advantage is that less storage is required on site, and the resulting reduction in the amount of transportation of material needed, makes this system a very energy efficient cladding method.